Personalized wedding gifts to match any venue! From seasides, circuses, and backyards, weddings are held in an amazing variety of locations. Create your dream wedding on any budget, with personal touches. By choosing your wedding theme, you’re laying out a game plan. Don’t limit yourself. Want an exotic ceremony without the cost of a destination wedding? Create the environment you want by customizing your own backyard. From heart stopping glamor to straight-up modern chic, we have the personalized items to help you create exactly what you want, no matter where you are. Add an eco-friendly touch to any wedding, event, product or gift with a plantable enclosure card! Enclosure cards are available in 20 colors of seed paper in the following shapes: flower, ribbon, star, heart, and droplet. Cardstock is printed in full-color with your custom design. 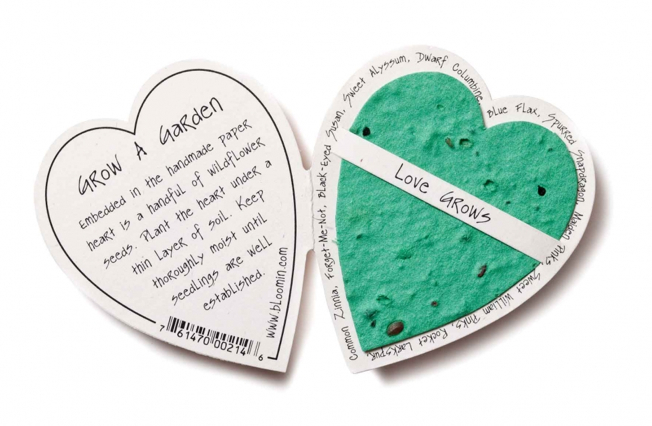 Our seed paper is handmade from 100%-recycled, post-industrial paper and infused with wildflower seeds. Have your guests plant the seeds of your love. A unique table favor that lasts for years to come. 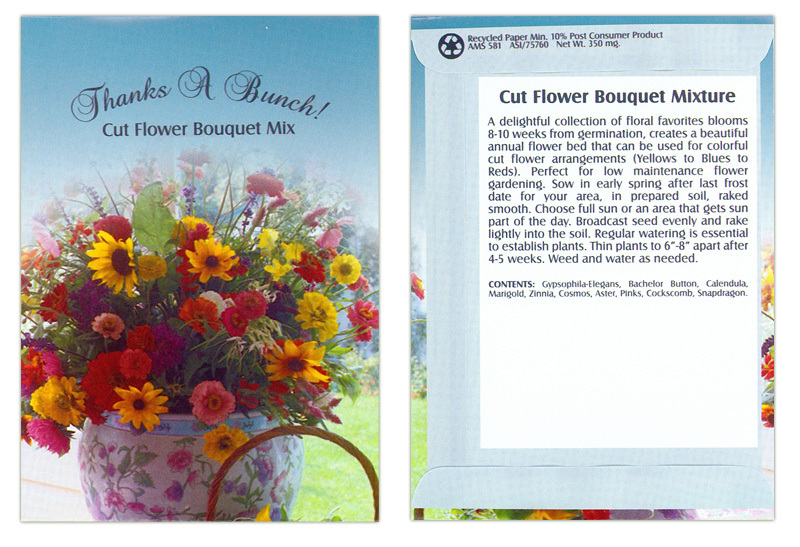 Seed packets with your choice of seed mix and personal message. 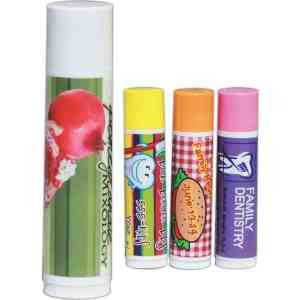 Premium lip balm with your choice of color cap, SPF 15. Full color label is fully customizable as is flavor! Made with natural and organic ingredients including beeswax, organic extra virgin oil, organic hemp oil seed, vitamin E and rosemary extract. Perfect for weddings. 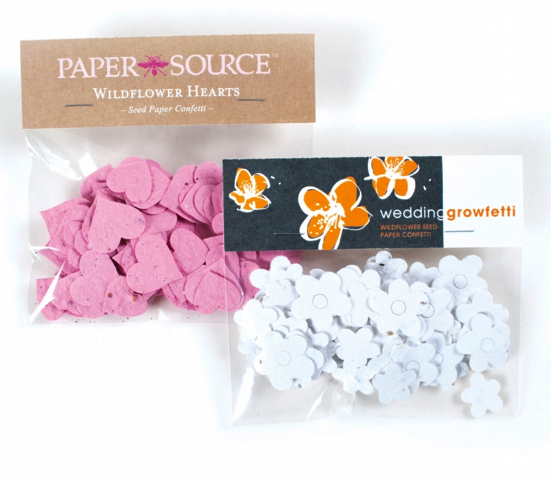 A party classic with an eco-twist, seed paper confetti is biodegradable, and grows into flowers when planted! Perfect for weddings, baby showers, grand openings, table decorations, birthdays, New Year’s and any Earth-friendly event! Print your custom message on the cardstock header. Available in 21 colors in either flower or heart shapes. Prepackaged snack packages in adorable personalized mugs are affordable and fun! 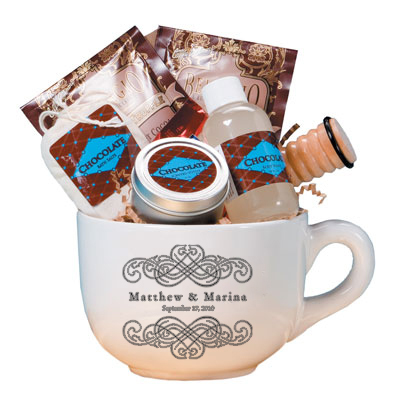 A delicious twist of comfort items in a jumbo cappuccino mug filled with chocolate-scented candle, 2 gourmet cocoa packs, mini body massager perfect for after a long night of dancing, chocolate scented bath salts, chocolate scented shower gel and chocolate candy. Have them delivered to your guest’s rooms for a relaxing surprise upon arrival. After a long day of celebration, treat your guests to this delightful relaxation treat. Aromatherapy bath delight has bright green jute and vinyl case and a colorful assortment of bath relaxation products. Relax with lavender filled eye mask, 4 oz. lavender citrus body wash, 4 oz. lavender citrus body lotion and a large bamboo bath sponge. Perfectly personalized to your needs. Engraved silver key chains make great keepsakes. Long lasting and available in a variety of price ranges and styles from art deco to post modern. This Sterling Silver Tiffany Style Key chain is an elegant gift. Engrave a symbol, monogram or message on front and back. Unscrew ball on one end to add keys! Personalized picnic wine totes are romantic and useful. The unique and elegantly-designed Bacchus – Moka deluxe wine basket is perfect for wedding gifts, picnics, concerts, or travel. The Bacchus – Moka is an insulated one-bottle deluxe wine basket with rattan core construction and tan colored 600D polyester lining, an adjustable shoulder strap, and wine service for two. This beautiful two-part folding basket has an insulated section to hold one bottle of wine and a second section to carry the amenities included: 2 handblown wine glasses (8 oz. ), 1 stainless steel waiter-style corkscrew with wooden handle, 1 nickel-plated alloy bottle stopper, and 2 napkins (100% cotton, 14 x 14″, Moka design). 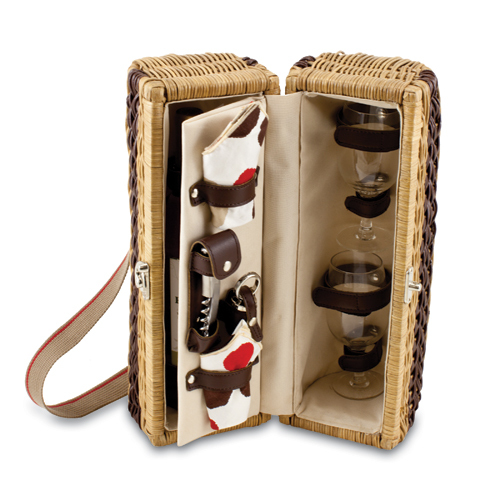 The Bacchus is an excellent gift for any occasion, and is especially appreciated by wine lovers on the go. Embroidered plush blankets will be used again and again. This warm, cozy, microfleece blanket offers a whole new level of luxury that you can’t get from the standard fleece blanket; and its affordable price won’t blow your budget. Cuddly, Soft Microfleece! Embroiders easily – Our 14” hidden zipper allows you to embroider your message without the show through of the stitches. Colors: Royal, Burgundy, Pink, Navy, Red, Black, Charcoal, Purple, Cream, Cocoa, Forest, and Camel! Bring the tropics alive at your wedding with these customized flip flops. Choose from exotic sandals featuring an earth-friendly bamboo sole with straps which are 100% recycled natural rubber. Or custom design Zorie flip flops with talking soles that leave your message in the sand for all to see. A wonderful way to thank your dearest friends and family for their continued love and support. for the biggest attendee numbers of the event. Take a look at what a well known business did. Their target market was college age individuals, primarily young professionals, and the health conscious outdoor crowd. Because of the large number of competitors in the market they needed to set themselves apart with a “cool” promotional spring break giveaway. 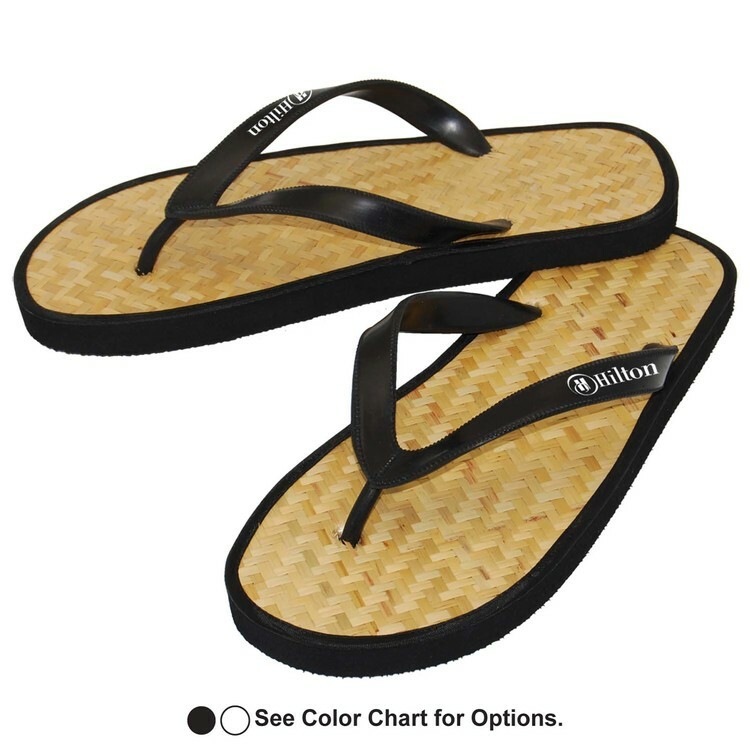 Spa Impressions’ team recommended that the manufacturer take advantage of the a highly affordable custom flip flop. A Month ahead of time they mailed a flip flop magnet which was #10 envelope friendly, customized with their logo, event location, and a message saying “keep an eye out for the big gift”. This magnet was received by their Facebook fans who responded to the companies event invitations creating a pre-event buzz. On the day of the event, the companies sales team was positioned at the entrance with bushel bags of right foot flip flops and sports packs. A Sports pack and single flip flop were handed out to every attendee with an insert instructing them to visit the companies’ booth in order to receive the left foot flip flop. When the individuals arrived at the company’s booth, they were asked to provide their email addresses for the monthly newsletter and to enter in the Grand Prize drawing for a weekend getaway. Once the matching flip flop was handed out, recipients couldn’t wait to get into the new pair of sandals. The flip flop frenzy was enthusiastic and contagious. Shoes worn into the area were placed into the sports pack, also customized with their logo, and donned the new promotional flip flops, now all the rage. With the branded sports packs slung over shoulders and branded footwear leaving messages in the sand as well as on toes, a massive positive impact was had on brand awareness as hundreds of individuals made their way to and from the booth. This promotional campaign created a undeniable branding success! Pedometers, truly amazing and somewhat disappointing when you track your daily footsteps. We challenged our office staff at Spa Impressions to keep track of their steps per day with a pedometer. Before we took the challenge we estimated our average steps per day… wow, we were way off! Our President, Rebecca, is the most active of our staff members. She can be found lifting free weights on conference calls to vendors and practicing dance moves at her desk while checking emails. We thought her active lifestyle would register well over 10,000 steps! When she came in the next day with 3,020 steps we were all shocked! This was a day without the gym but with a dog walk, a few dance moves and deep knee bends! Our other office members averaged around 1000-1500 steps. However, when a staff member adds in an aerobic workout to their day, the average steps rise to around 5,000! So how far is 10,000 steps? According to The Walking Site, “The average person’s stride length is approximately 2.5 feet long. That means it takes just over 2,000 steps to walk one mile, and 10,000 steps is close to 5 miles”. Our average day of walking around and running errands falls pitifully short of 10,000 steps! We have all taken on the goal of adding additional steps per day to our lifestyles by utilizing a few tips from the NHS website, The 10,000 Steps Challenge. For example, it was cold today in Virgina but sunny. Rebecca decided since her Husky could handle it she could to. She threw on her warmest coat and outdoor glove set then took off through the neighborhood. In a fifteen minute walk, of course at a husky’s pace, (the suggested speed), she got in 1,375 steps and absorbed some vitamin D. Challenge yourself, friends and colleagues, the results will be eye opening and extremely beneficial! 50 Ways to Keep a Client! The gift of giving with a useful promotional product can take the pressure off of a heated moment and change it over to a more neutral and even pleasant experience for the client. 1. Susie Spa-Goer has just been informed that her appointment was never booked; it doesn’t show in the system and there is no massage therapist on hand. Apologizing is a start but if she walks out with an aromatherapy eye pillow filled with lavender and flax seed, beautifully packaged with your logo, you’ve begun the forgiving process. It’s more then a verbal apology; you gave her a special gift with her favorite spa’s name on it – you’ve just salvaged the relationship! 2. Renovations are a bear… One spa gave patrons a warm fuzzy “I’m sorry” aromatherapy teddy bear. Asking to “bear with them” while they were renovating. The bear giving was so successful that the hotel associated with the spa added them to the rooms during the renovation. In fact, the patrons loved the bears so much they now sell them in their gift shop! Human error and construction happens but your clients will still remember your name and your relationship can be saved through a clever promotional gift. 3. Spa personnel change is part of the business and the different management styles may create uncertainty with clients that have been coming for years. It’s a great time to sooth their worries of unknown change by adding a logo-packet of relaxing green teas at the counter when they pay; reminding them that any changes will only be improvements that your clients will appreciate. 4. 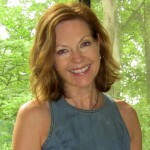 Introducing a new therapist to existing clients? Breaking the ice with loyal clients can be tricky. Give your therapists some extra support by having them send the client away with their new business card and an imprinted satin eye mask creating a personal touch and a thank you gift. 5. A perfect time to add a promotional gift is when you are adding a new service to your menu. If the new service is to uplift the spirit – have the first 100 clients that book the service head home with a logo printed eucalyptus scented stress ball. These unique fragrant filled stress balls come in 5 great colors as well. Keep branding, create excitement and see your return on the dollar with the use of a more unique promotional item! 6. Moms– No one deserves more gifts than mom does; make her feel special as she spends it with her daughter on a mother-daughter get-a-way; baskets filled with mini aromatherapy diffusers and logo tea bags. Why not send moms home with a lavender sachet to stick in their purse? The tag is personalized with your logo so when she needs to take a deep breath from the stresses of the day and pulls the wonderfully fragrant lavender sachet out of her bag, she can remember her exceptional service from your spa. She’ll be ready to book another service and mention the appreciated gift to her friends. 7. If a bridal party is spending a day of pampering at your spa, send them home with an imprinted logo cosmetic bag with nail files, cosmetic mirrors, and lotion. Make couples feel like newly weds again after renewed vows or a second honeymoon; fill their room with imprinted champagne flutes and molded chocolates to have them remember the day for years to come. Golf tournaments bring great prospects for golf packages and golf weekends. Why not give to the golfer’s as well with logo golf tees and golf towels. And don’t forget the holidays – the perfect opportunity to really say “thanks” to your clients and employee staff with personalized mugs filled with dark chocolate personalized candy bars and/or laser engraved ornaments. 8. Bags – do they have your spa’s name imprinted on them? Add a special touch with personalized tissue paper for elegant packaging. A great looking hot stamped bag can reach thousands of people from just hanging off the arm of the recipient on a crowded street or resort area; great bags just can’t be thrown out. What a return on investment! Your marketing dollars have been well spent. 9. Sharing your marketing costs with other like-businesses on a promotional item can help spread out the cost. Combine a number of logos from your business neighborhood and have them imprinted on t-shirts, caps, sunscreen items, breast cancer products or other important charities items. Joining forces will allow you continued visibility and create additional marketing opportunities. 10. Many spas are going “Green” or have started from the ground up with green construction and materials. This responsible and popular cause now extends to the selection of promotional products that raise awareness of these initiatives. Giving out a product that promotes a spa’s name and its commitment to the use of recycled materials has a value added benefit. The product accomplishes the same marketing or promotional goal by providing brand exposure and the same functionality to the recipient as a similar one produced with newly extracted materials. The added benefit is that the promotional gift now sends a message to the recipient about the spa’s mandate to source environmentally friendly products in every arena of its operations. Spas can purchase aluminum water bottles or recycled plastic bottles, organic cotton tote bags for retail shopping, recycled pens, note pads, organically grown lavender, bamboo towels and robes, unscented soy candles and many more products as the change to green continues to expand. Use “eco-friendly” promotional product to promote your “green” business and really get the message out there! Many businesses have found great successes with the help of promotional products and the practice of gifting. Set your spa apart from all the rest making each visit a memorable experience with an added logo gift to take home. Why not pamper your guests after they leave as well. What’s the return on investment for promotional gifts? Many studies have shown promotional products to yield a higher return on investment (ROI). Promotional gifts offer far great advantages than other brand promotional methods while being proved to be most cost-effective. Most promotional gifts are extremely user friendly, allowing you to place your advertisement right in the hands of your customer. What’s not to like about this marketing strategy! I’ve just touched on a few of the many uses of promotional gifts and amenities for your spa. My expertise is to known my product line; what promotional products might work well for the spa industry making the choice easier for you. This will help save you search time. Your guidelines help me provide you with interesting products while working within your budget. I believe in my products and the ROI from using a promotional gift. Please contact me; I’d love to be your first resource for promotional giving!